Surfcheck-eyeball, webcam for Croyde, Saunton. 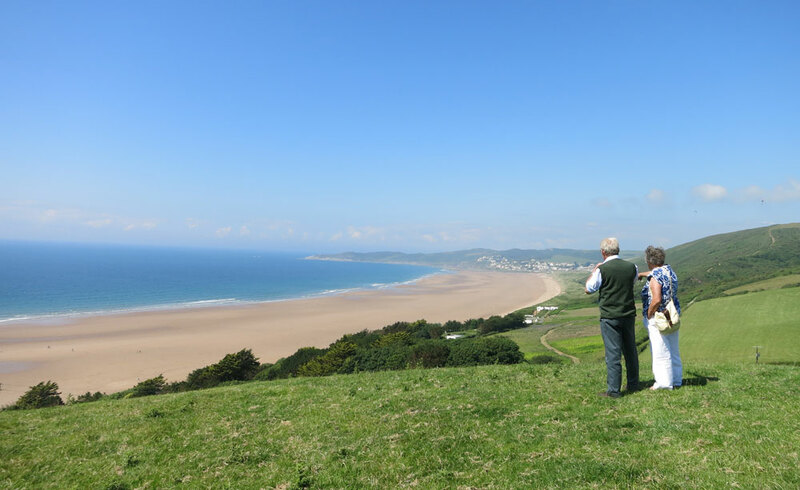 Putsborough, Woolacombe, Combesgate and Westward Ho! 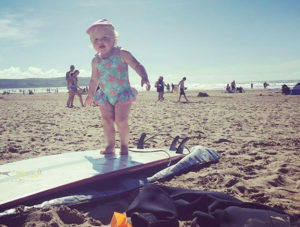 Woolacombe :-Won numerous awards as this is one of the finest beaches in the West Country (recognised as one of the top 10 beaches in the world). 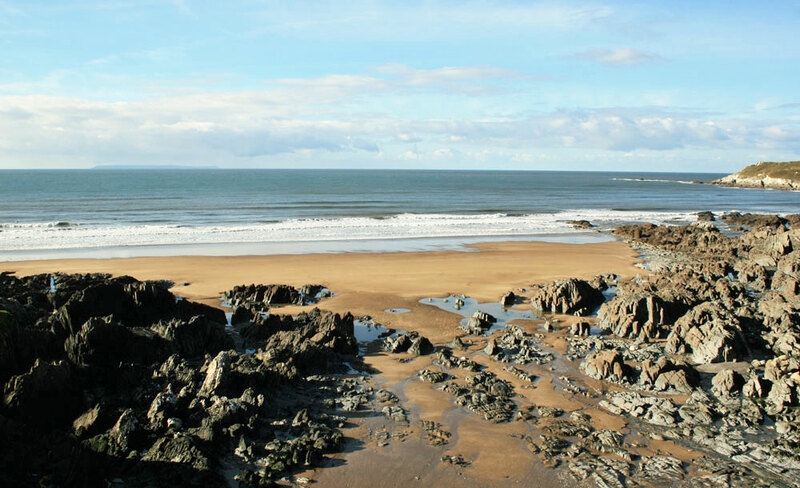 Three miles of golden sand stretching to Putsborough beach. 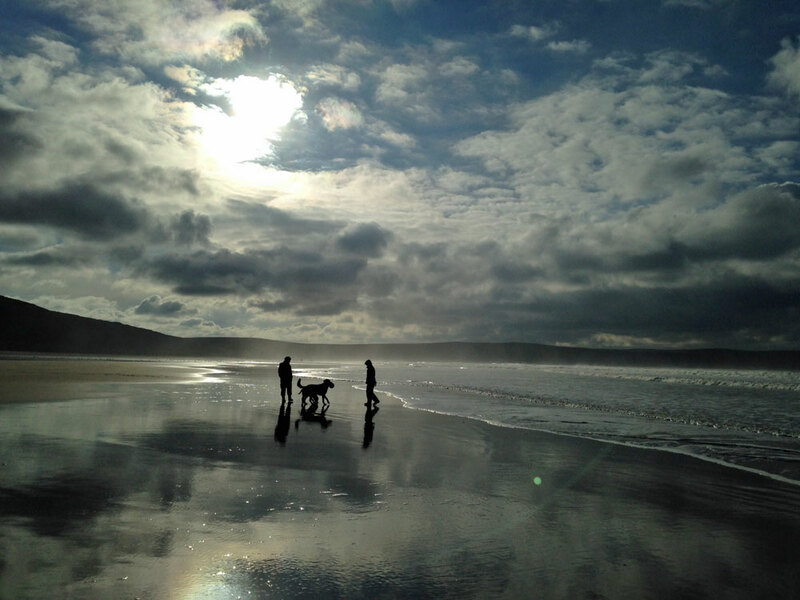 Surrounded by Woolacombe beachside town with numerous hotels and caravan parks. 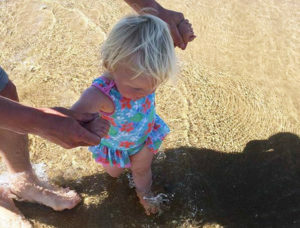 Facilities; Shops, parking, toilets, light refreshments, wildlife area/nature trails, watersports, safe swimming, May – Oct the beach is cleaned dayly. Beach Awards; Blue Flag, MCS Good Beach Guide, RNLI lifeguard. 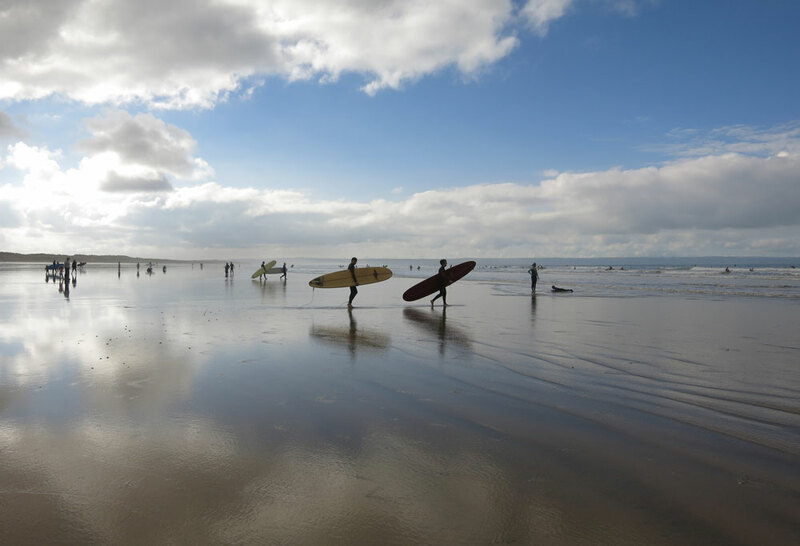 Saunton Sands :-Five miles of sandy beach backed by sand dunes (Braunton Burrows World Heritage Site, Britains first Unesco biospere reserve). A popular beach for surfers. 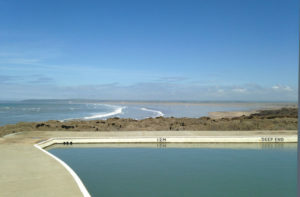 Facilities; Shop, parking, toilets, light refreshments, wildlifespots/nature trails, watersports, safe swimming. 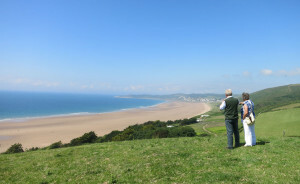 Putsborough :- (South end of Woolacombe). Three miles of golden sands stretching towards Woolacombe. 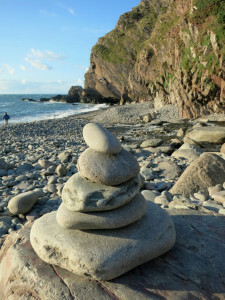 A great family beach with rock pools. 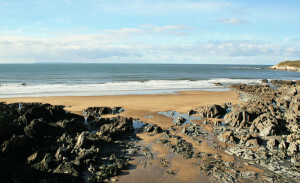 Facilities; Shop, parking, toilets, light refreshments, tea room, wildlifespots/nature trails, watersports, safe swimming. Beach Awards; MCS Good Beach Guide. Croyde :- Golden sandy beach backed by sand dunes. 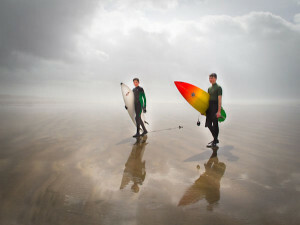 One of Europes best surfing beaches. Facilities; Shops, parking, toilets, light refreshments, restaurant,tea room, wildlifespots/nature trails, watersports, safe swimming. Beach Awards; MCS Good Beach Guide, RNLI lifeguard. Northam Burrows & Westward Ho! 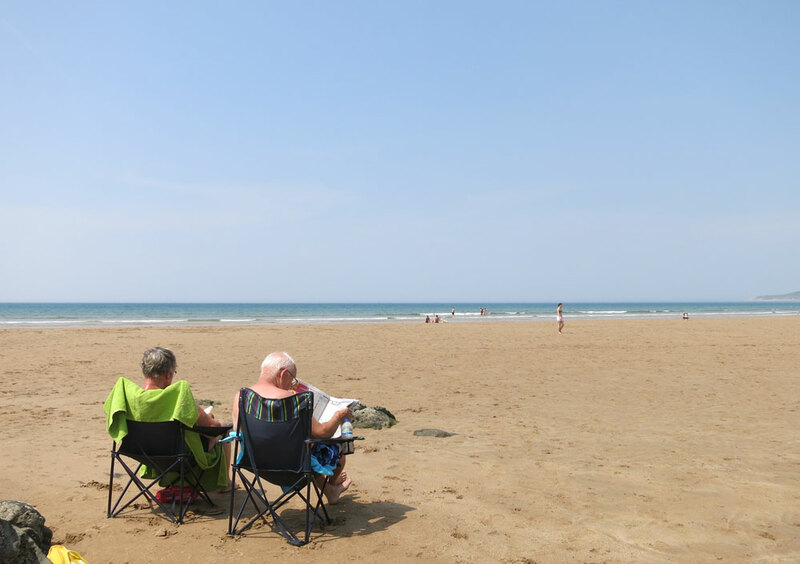 :- A long sandy beach backed by a pebble ridge with Northam Burrows Country Park beyond. Beach Type; Sandy & pebbles. Facilities; Shops, parking, toilets, light refreshments, wildlifespots/nature trails, watersports, safe swimming. 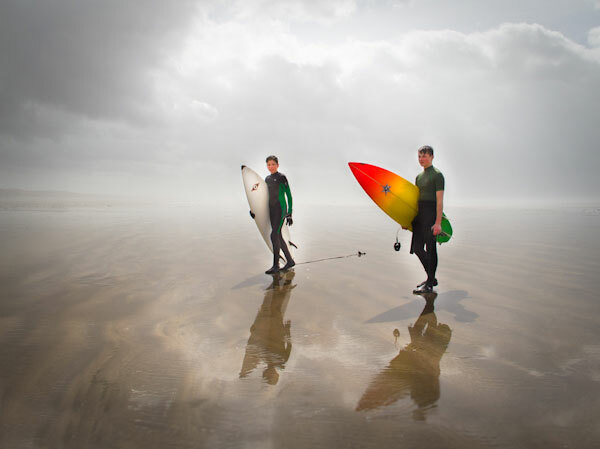 Beach Awards; Blue Flag, MCS Good Beach Guide, Quality Coastal Award, RNLI lifeguard. Clovelly :- Cobbled traffic free village, leading down to small working fishing harbour. Beach Type; Shingle & rock. 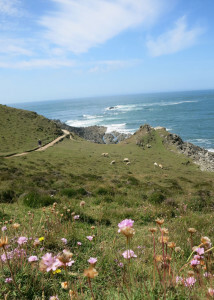 Facilities; Shops, parking, toilets, light refreshments, pub, tea room, wildlifespots/nature trails, safe swimming. Tunnels Beach :- Award winning beach established 1823. A network of hand carved tunnels lead to sheltered beaches with a Victorian bathing pool. Entrance fees, closed Nov – Easter Hols. Beach Type; Sand & shingle. 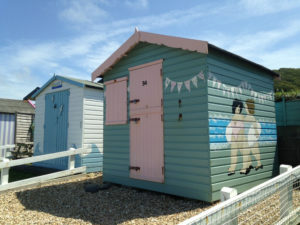 Facilities; Shop, parking, toilets, light refreshments, restaurant, safe swimming, beaches & coves cleaned daily. Beach Awards; Blue Flag, MCS Good Beach Guide. Disacbled access; Easy. Dogs;Access restricted. Instow :- Instow beach is where the Torridge river meets the Taw estuary. 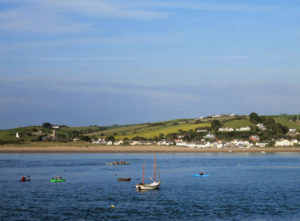 The beach is backed by low dunes and the town of Appledore can be seen opposite. Facilities; Shops, parking, toilets, light refreshments, restaurant, tea room, wildlifespots/nature trails, watersports, safe swimming. Breathingspace Memorable activities; – Coasteering, mountain biking, abseiling, puzzletrails and treasure hunts,surfing, horse riding, guided walks, & pampering!